Lisuride (Dopergin®), a highly active dopaminergic ergot derivative with prolactin-lowering properties, has an outstanding affinity as an agonist for dopamine receptors. It is concentrated by a factor of 5–10 above lisuride plasma levels within the pituitary where it acts on dopamine receptors which inhibit prolactin release. In rats, oral lisuride is 10–30 times more active on a weight basis as a prolactin-lowering agent than bromocriptine. In carcinogenicity studies in rodents, no endometrial carcinomas could be found after 2 years of treatment; on the contrary, development of pituitary tumours was prevented almost completely and there was a dose-dependent reduction in the incidence of mammary tumours. Studies in rats, rabbits and monkeys revealed no teratogenic potential of the drug. On acute administration, doses as low as 0.1mg of lisuride p.o. decrease prolactin plasma levels in humans; this effect is enhanced and prolongated on repeated administration. Its effect is highly specific and no other hormonal systems are affected with the exception of growth hormone. Lisuride can be used in all clinical conditions where a dopaminergic or prolactin-lowering effect is needed, and its activity is unsurpassed by any other form of treatment. In the prevention of post-partum lactation, controlled studies point to a lower incidence of rebound lactation than observed with other treatments. Lisuride effectively restores normal cycles and fertility in hyperprolactinaemic women. In the pregnancies documented so far, which were induced by lisuride treatment, no evidence for any particular abnormality was observed. 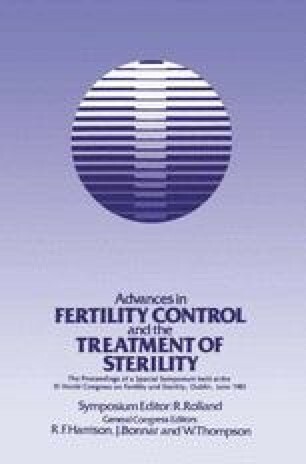 In healthy males, lisuride treatment did not affect spermatogenesis. In hyperprolactinaemic men suffering from prolac-tin-producing tumours, testosterone synthesis as well as libido, potency and fertility can be restored with lisuride. In the case of macroprolactinomas, treatment with lisuride not only lowered prolactin levels but also led to a sometimes dramatic reduction of tumour volume. All these data suggest that lisuride is a highly effective drug in the treatment of menstrual cycle and fertility disorders and related situations, and a valuable alternative to bromocriptine.